Need help making the grade? Tutoring is available throughout Fairfax, Loudoun, and Prince William Counties. Tutoring can be obtained through various Northern Virginia state and local government agencies. Alternative Schools provide programs designed to help students with life challenging circumstances. Throughout regional public school systems, programs are offered to achieve the necessary academic and social tools required to facilitate learning. Fairfax County Public Schools – Provides a variety of nontraditional school options such as alternative learning centers and interagency schools. Two featured alternative high schools are Bryant Alternative High School and Mountain View Alternative High School, which offer programs designed to help students whose life circumstances could result or have resulted in an interruption of their education or in their dropping out of school. The adult/alternative high school population consist of students who may be pregnant or parenting, students for whom English is a second language, older students who are returning to finish courses to earn their diploma, or students who need a flexible or extended program to accommodate their work or family requirements. In addition, adult / alternative high schools accept students based at other schools but who wish to accelerate their educational program. Students are also administratively placed through an area records review process or by the School Board. Students with severe discipline problems are not a target population for these schools. Bryant Adult Alternative High School – Predominately serves students from Area 1 of the Fairfax County School System. Bryant has both day and evening programs, where the faculty and staff create a supportive and learning environment. Small class sizes allow teachers to focus on individual strengths and needs. The program promotes development of academic, personal and career skills so that these students can contribute responsibly to the community as reliable citizens, capable workers, and effective family members. Mountain View Alternative High School – Continues to provide exciting experiences for students. With the support and efforts of the community, particularly the members of the Dulles Area Chamber of Commerce, the classroom activities consistently extend beyond the individual classroom into the “real world.” Mountain View provides students with the academic knowledge and personal skills necessary for citizenship in their communities near or far. More information on additional Fairfax County Nontraditional School Programs. Prince William County Public Schools – Provides a continuum of services, which focuses on meeting the needs of each child so that his/her maximum potential will be realized. These services include, but are not limited to, those, which address behavior, academic progress, work readiness, lifelong learning, and effective group participation so that these students will become productive members of society. The Alternative Education program goal is to provide a continuum of services or range of options to meet the academic, social, and emotional needs of at risk population K thru 12. Are disruptive to the learning environment at their base school. Lack motivation to meet basic requirements for success. Do not qualify for special education services yet require individualized attention to achieve academically.  Students at New Dominion and New Direction Alternative Centers receive a quality instructional program based on Prince William Schools curriculum and a life skill component that focuses on appropriate behavior and vocational education. Prince William County also has two specialty high schools that serve the adolescent population Independent Hill School – Pace East and Pace West Special every student a quality education which emphasizes both academic and social/emotional growth. For more information visit Prince William County Schools. Loudoun County Public Schools – Provides a variety of Alternative Schools and Adult Education resources and locations throughout the county. The Douglass School Alternative Secondary School Programs – Douglass school is the center for Alternative Education Programs for middle and high school students of Loudoun County Public Schools (LCPS). Seven different programs, each targeting a different population, are offered. This includes one outreach program coordinated by Douglass but offered at each LCPS high school. During the current school year over 600 students will attend one of the Douglass alternative programs. For more information visit Loudoun Public Schools. Choosing the right school can seem to be an overwhelming process, but it doesn’t have to be. In fact, the search to find the best fit for you can be an exciting hunt! Try some of these sites to help get you on your way. Choose a campus and go visit it virtually! So many tests, so little fun! Yes, not many of us look forward to taking standardized tests, but they are usually a MUST for your college applications. Click here to find out the different kinds of tests you might have to take. Have you ever thought about dropping out? If so, here are a few known facts you need to think about. Average earnings will be $1,251/month or $15,011/year. Average earnings will be $1,864/month or $22,154/year. Only 11% of you will earn $25,000 or more a year. Over 29% of you will earn $25,000 or more a year. Your unemployment rate is about 9.3%. Your unemployment rate is only about 4.8%. You make up 1 out of 10 people in the labor force. You make up 3 out of 10 people in the labor force. You are one of 3.5 % not to finish high school. You are one of 96.5% to graduate from high school or get a GED. You spend long hours working part – time or full – time jobs. You are one of the 81% that enrolls in post secondary education. You cannot enlist in the military service. You can enlist in military service and take advantage of related educational benefits. Your lifetime earnings will be $713,600. Your lifetime earnings will be $970,800 (That’s 36% more than dropouts earn). 66% of the prison population did not graduate from high school.